As the population in Arizona ages, the demand for well qualified and properly trained CNAs is dramatically increasing. Those looking to work as a Certified Nursing Assistant can find an extremely demanding yet rewarding career path. Additionally, the state of Arizona offers a large number of job opportunities for CNAs, particularly as the population ages. If you live in Arizona and you’re looking for free CNA training near you, we have compiled listings of many accredited providers in the state including Mesa, Tempe, Phoenix, and Scottsdale. We urge you to contact these facilities directly or visit their websites to learn more about the specifics of their free CNA training programs as some of these medical and senior care facilities may have work contracts tied to their training programs for tuition reimbursement. If you are a provider of free CNA courses in Arizona, please contact us so we can add you to our database. Who is the Regulatory Body for CNAs in Arizona? CNA certification in Arizona is controlled by the Arizona Department of Health Services. Who Administers the CNA Exam in Arizona? 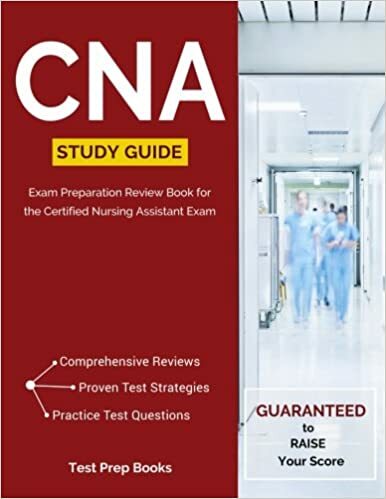 The CNA certification exam in Arizona is administered internally by the state of Arizona within the Arizona State Board of Nursing, with a platform called Headmaster. You can take a free CNA practice test on this site to help prepare yourself for the exam. You can take additional practice test by visiting the following pages. It is required that those seeking to become a CNA in Arizona completed a CNA training program and obtain a passing score on the state-administered CNA exam. In Arizona, a minimum of 120 hours of CNA training must be completed at an accredited training program. These 120 hours are broken up into 80 hours of classroom training and 40 hours of clinical training. The average cost for a CNA training program ranges from $500 to $1700. A variety of institutions offer accredited training, including career programs at high schools, community colleges, hospitals, nursing homes and also the American Red Cross. In Arizona, a candidate can apply to take the CNA exam by completing the application once they have completed a state-approved training program. The Arizona CNA exam has two parts, a knowledge section, and a skills section. The knowledge section can be taken in either audio or written formats. If a candidate chooses to take the oral exam they will have the option to do so in English or Spanish, though Spanish speakers will be expected to know some basic spoken and written English. The exams are handled by Pearson Vue and following NNAAP exam model guidelines. Upon passing the Arizona CNA exam, you are added to the Arizona Nurse Aide Registry. Nurse aide certificates must be renewed every two years in even-numbered years regardless of when the certificate was issued. How Much Does the Arizona CNA Exam Cost? Where Can I Take the CNA Exam in Arizona? There are regional test sites throughout the state of Arizona, as well as in-facility test sites that are offered by CNA training programs offered by CNA institutions to students. How Much Does a CNA Get Paid in Arizona? The average annual salary for a CNA in Arizona is $30,470 according to data from the Bureau of Labor and Statistics. If you need to contact the Arizona Nurse Aide Registry you can do so using the information below. To check the standing of a CNA on the Arizona registry, follow the link below. If our list of free CNA classes in Arizona doesn’t have a listing near you or doesn’t work with your schedule, there are a number of other reasonably priced locations offering CNA certifications. The list below is a comprehensive grouping of CNA classes, resources, and training across the state of Arizona.